Author and Chanson Water CEO Nedalee Thomas will be one of the featured speakers at Marketplace In Action September 12, 2013 at 7 pm.All are invited to come and hear her. The meeting is FREE. Health, Business and Spiritual issues. Nedalee Thomas will interview Chanson Water drinker and MMA fighter Big Dan Hill in Las Vegas Nevada, Sunday August 11th. Big Dan Hill is currently actively training to compete in MMA fighting and has an extensive past as a Body Builder. 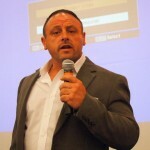 If you would like to know more about Big Dan Hill, Checkout his website at BigDanHill.com. Chanson Water USA recently conducted a worldwide appliance survey, and the results are in. 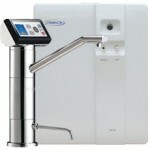 Water ionizer owners were asked to rank 11 kitchen appliances in order of importance. The appliances included refrigerators, water ionizers, stove/ovens, microwaves, dishwashers, toasters, blenders, juicers, food processors, rice cookers and coffee makers. The top three appliances according to respondents were refrigerators, water ionizers, and stove/ovens. Not surprisingly, refrigerators ranked #1 overall, coming in at 58.33%. What is remarkable, however, is that 41.3% of ionizer owners ranked their water ionizer as their #2 appliance, while 28.2% of ionizer owners ranked their ionizer as their #1 appliance, valuing it above even their refrigerator! These results are a great testament to the amazing value of a water ionizer, an appliance that 2 out of 3 Japanese homes have yet few Americans have heard of. Chanson Water CEO Ronnie Ruiz will be featured on an upcoming segment of Viewpoints TV titled “Healthier Living through Healthier Choices” and hosted by Terry Bradshaw. The interview will be aired sometime after June 21st on ABC and FOX news. Update 7/1/13: The following event has been cancelled. Chanson CEO Ronnie Ruiz will be speaking at the OC Health Forum in Anaheim, CA on Saturday, July 27th 2013. Topics include health, wellness, happiness, wealth & beauty, and the event lasts from 10 am to 6 pm. The event is hosted by KLJH radio and will be emceed by Lynn Rose. Other speakers include: author Joseph McClendon III, LuAnn Mitchell, Erich C. Nall, Kathrine Lee, and Scott Magers. General seating is $77 and VIP admission is $167, and both include a gourmet lunch. Chanson Water CEO Ronnie Ruiz will be the keynote speaker at the grand opening of India Holloway’s new health and wellness clinic specializing in colon health this Sunday, June 9th 2013.The event will take place from 2pm to 5pm at 8534 Washington Blvd in Los Angeles, CA.Ronnie will be speaking on disease prevention and ionized water.Questions? Call Shondrea at 866-557-9557. 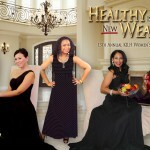 Chanson Water USA CEO Ronnie Ruiz will be speaking and hosting a booth at the 13th Annual KJLH Women’s Health Forum “Healthy is the New Wealthy” in Los Angeles April 27th, 2013. Admission is free. Click here for more information. Congratulations to Sue B. who has earned a free Chanson VS-70 water ionizer because she referred dealer Richard E. and he has sold 10 VS-70s. 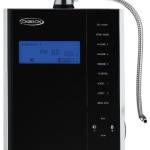 January 22, 2013Congratulations to Ross B. who won a free Chanson Miracle MAX water ionizer for selling over a hundred ionizers in the promotional period between 8-21-12 and 12-31-12. Way to go Ross! Join Chanson Water and Big Dan Hill at the FitEXPO in LA! Sunday, January 20th from 10 am – 5 pm.We will be joined by professional bodybuilder and Chanson water advocate Big Dan Hill. 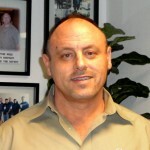 Stop by our booth to meet Dan between 10 am – 12pm and 2pm – 4pm both days!